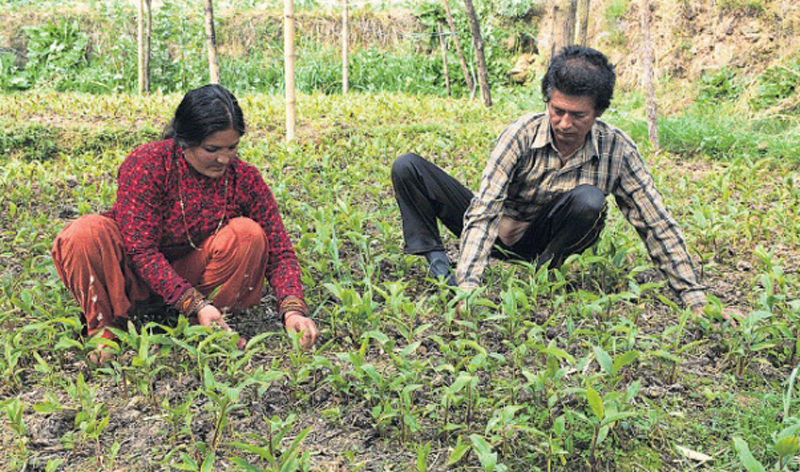 Family farming is an established practice in Nepal and a way of integrating crops, livestock and forestry. It is managed and operated by a family and as such reliant on family labor. Since it includes all family-based agricultural activities, it is linked to several other areas of rural development as well. According to the latest census, around 70 percent (3,831,093) households are engaged in family farming activities directly or indirectly, making it a dominant practice of food production in the country. However, family managed farms are dependent on women and elderly and are operated on highly fragmented lands. The productivity is low. But it is still a primary means of food security, poverty eradication, natural resource management and sustainable development in Nepal. Family farming serves four functions. From a sociological perspective, it is associated with family values, such as solidarity, continuity and commitment. Economically, it promotes specific entrepreneurial skills, business ownership and management, resilience and individual achievement. Environmentally, it contributes to soil enrichment, carbon sequestration, water purification, pest control, pollination and biodiversity enhancement. And culturally, it preserves the symbolic and religious values of resources and territories. Through these four functions, family farming contributes to maintain family patrimony, cultural heritage, territories, landscapes and communities. The strong incentive to work for the sake of their own families’ well-being greatly reduces other associated costs. Family farming may also comprise a wide spectrum of farm sizes and types, ranging from very large land holdings in high-income economies like the US that are easily cultivated by one or two family members with the use of labour-saving machinery and hired laborers, to the small holdings of a few hectares in low-income economies like Nepal. Family farming also used to be a major source of employment and one of the largest contributors of GDP in Nepal. Up to the 1980s, more than 90 percent of the total farming population was dependent on family farms for livelihood and approximately 20 percent of the land area was cultivable. Also, approximately 75 percent of the GDP came from agriculture sector. The situation has changed. Today, only 60 percent population is dependent on agriculture and it contributes 32 percent to the GDP. However, the share of family farming in total agricultural output has remained more or less the same. The United Nations declared 2014 as the International Year of Family Farming (IYFF), drawing the world attention on its significant role in eradicating hunger and poverty, providing food security and nutrition, improving livelihoods, managing natural resources, protecting the environment and achieving sustainable development in rural areas. This was the recognition of the multiple social, economic, environmental and cultural functions of family farming. Though family farms produce most food consumed in households and use over 80 percent of the total cultivated land, we have not been able to attract youth into this enterprise. As a result, a number of economically active family members are limiting the scale of production. 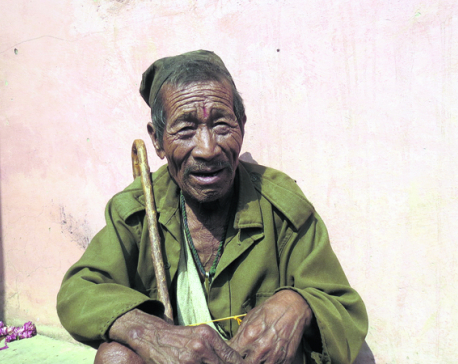 Since most households in Nepal are poor, they employ women, children and elderly in the field. They have no access to energy, infrastructure and public services either. Family farmers often have intergenerational bonds with the holdings they work and their production system also provides continued ecosystem services and care for the natural resources. In developed countries, family farming is taken as a tradition to be preserved. But in Nepal, it is considered as a traditional practice of agricultural production for livelihood. Nepali farmers have clan-based possession of land property which is heritable within their clan or family. Similarly, traditional practices of cultivation are also transferred from generation to generation. Majority of farmers in Nepal still practice traditional methods of farming like using livestock for plowing, utilizing livestock waste as manure, producing seeds locally and employing local laborers. The productivity of such systems depends primarily on the natural fertility of the soil, skillful care and on the climate. Production is mainly for home consumption and farming is seasonal and weather-dependent. It is very similar to organic farming where a farmer has a mixed farm of livestock, vegetables, fruits and cereal crops. Any system of farming without wide participation of youths cannot be sustainable. In order to retain youth in family farming, it needs to be backed up by mechanization, modern production technologies and market access. Each member practicing family farming should be given their share of respect and responsibility. Our goal to make the country self-reliant in food can be achieved only when we can attract more youth in family farming and promote it across the country.